Birmingham is a large city in the English West Midlands and is now the second largest conurbation outside of London. During the Victorian era, the population swelled from 150,000 (1831) to over 500,000 (1901). It was known for its industrialization, particularly for iron and metal ware along with commerce. Beyond mechanical innovation, Birmingham is also celebrated for its intellectual, scientific, and cultural advances and was home to renowned polymath Joseph Priestly. 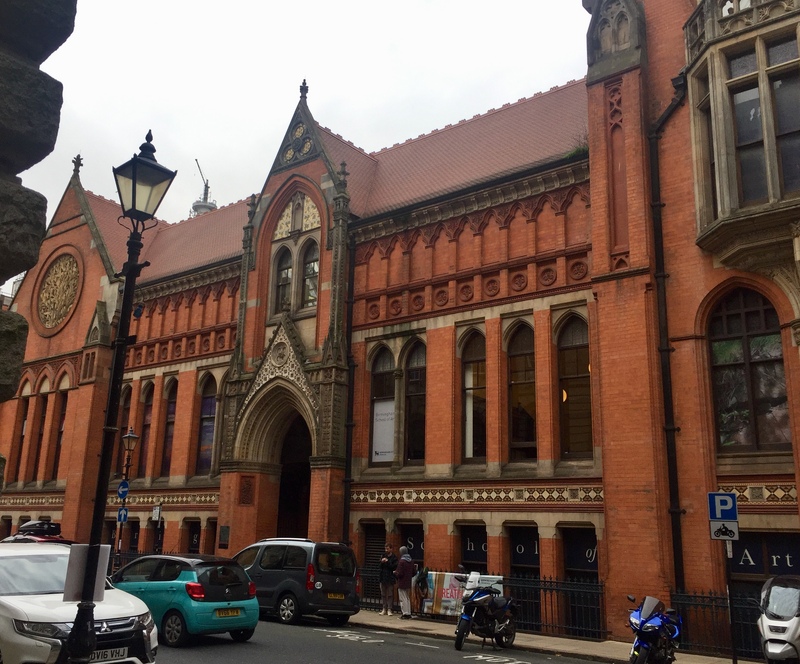 On 1 Aug 1867, the Birmingham City Art Gallery opened in one room in the Birmingham and Midland Institute. Annual attendance in the thirty-by-seventy-foot room was 145,761 in 1872, when the gallery first opened on Sundays. By 1877, in the same space, attendance was an astonishing 393,645. The Birmingham School of Art, England's first Municipal School of Art, opened in 1885 in a Victorian Gothic building designed by John Henry Chamberlain. Under the guidance of founding Director of Edward R. Taylor, it became an important site of Arts and Crafts design. ON 28 Nov 1885, the Birmingham Museum and Art Gallery opened in purpose-built addition to Birmingham Council House, Yeoville Thomason, architect. The Council paid for the extension containing the Museum and Art Gallery using funds from the municipal gas works and land appropriation provisions of the governing Public Libraries Act.